In my Arabic 2 courses at UvA Talen we use a book that makes reference to a district in Cairo called الْزَّمالِك (’az-zamaalik). In layman’s transcription, the name of this area is usually written just as Zamalek. Would you like to know more about this place? 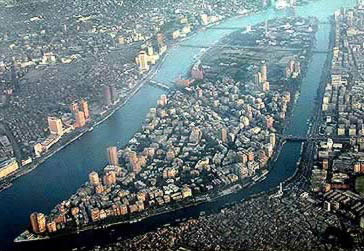 Zamalek is a posh district entirely on an island in the middle of the Nile. You have probably heard of Tahrir Square (مِيدان الْتَّحْرِير), where so many demonstrations took place during Arab Spring. Well, just walk across the bridge from there and you are on the island. Various pupils and friends of mine lived in Zamalek in the years I lived in Cairo, and I have many fond memories of it. In fact, the bus to Zamalek (there’s only one line that serves the residential part of the island) is the only one I remember by number (line 13). Zamalek is relatively green and peaceful in comparison to many other parts of the city. The island is also home to the Marriott Hotel, the Cairo opera house, and a large outdoor sports club where the Zamalek football (soccer) team trains. You can read more about Zamalek on the English Wikipedia page, which has some great pictures. If you click on the Arabic Wikipedia page you will get some other views, even if you can’t read the text. Previous Who is Miss Minousch?